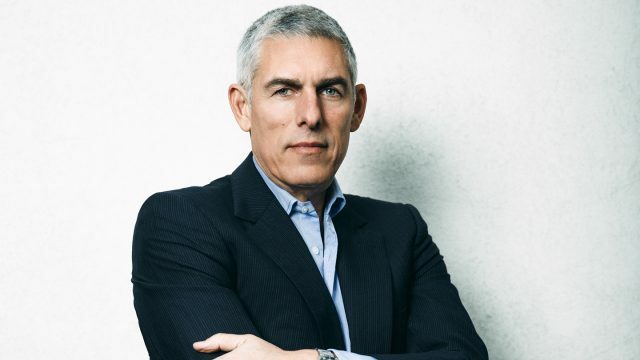 YouTube’s Global Head of Music, Lyor Cohen has called the implications of Article 13 into question within a monthly newsletter sent to a large group of industry execs. These YouTube newsletters are often co-authored by top managers, curators, film directors, etc and include topical music business subjects. In the missive sent out today (November 1), Cohen invited John Shahidi, CEO of Shots Studios, a management company which produces content for musicians and artists to talk about ‘How to Build Fandoms on Open Platforms’. But Cohen also used the opportunity to warn of what he sees as dangers surrounding the passage of the new European Copyright Directive – including provision Article 13, which would see platforms like YouTube become legally liable for copyright-infringing content uploaded by its users. Writing in the letter, Cohen said: “We understand and support the intent of Article 13. We need effective ways for copyright holders to protect their content. “But we believe that the current proposal will create severe unintended consequences for the whole industry. We still have a couple of weeks to work together towards a better final version of the law. Cohen’s comments come after another YouTube exec, Susan Wojcicki, wrote a letter to creators on expressing her concern about the impact that Article 13 poses to the artist community. You can read Cohen’s newsletter in full below. I had a chance to talk to John Shahidi, from Shots Studios recently. Their team has created an entire world of crossover between music, comedy, dance, and science. Artists like Anitta, Alesso, Rudy Mancuso, and more recently Lele Pons have created a media empire for the youth on YouTube. I was blown away by how close they are to their community – how they encourage fans to participate and create covers, parodies, collaborations. This reminded me why it is so important that the industry understands Article 13, which is part of the new EU copyright directive currently being finalized. Because all of this great content, this unique way to build deep connections with fans, is at risk of being blocked and removed from open platforms (such as YouTube, Facebook, Reddit). Let me be clear: we understand and support the intent of Article 13. We need effective ways for copyright holders to protect their content. But we believe that the current proposal will create severe unintended consequences for the whole industry. We still have a couple of weeks to work together towards a better final version of the law. The music industry should really pay attention to these unintended consequences – the system that largely contributes to their success is at risk of major change in the European Union. John: First things first, you don’t get through the clutter without making something great in the first place. You’ve got to find a story and bring it alive, make it real and visual. You need to capture people’s attention, and be relatable and shareable. John: Exactly. Think about the video of “Celoso” by Lele Pons. It’s not just Lele being cute. There’s a story that’s been carefully crafted. Rudy, who did the video, knows how to capture the attention of a mobile audience. You’ve got to understand the local culture where you are trying to resonate. We themed the video around a kitchen and a taqueria in a Latin American country. In the Latin world when you go down to Colombia, Mexico, Argentina, Chile, Brazil, in all of the taquerias, they’re streaming YouTube videos on the TV sets. Who makes those decisions? The people in the kitchen. They’re the ones saying, “Hey, put this on.” I have had so many people telling me that’s how they discovered the song and Lele – and then they watched it on repeat on their phones. John: Oh, I agree. You don’t have to spend a million dollars to do this stuff. The “Celoso” music video I think cost us like $40 grand. And it has just hit a hundred million views. It’s quite special in the Latin world for a video to hit over a hundred million views without a huge collaboration. It’s Lele Pons. All by herself. A woman in an industry vastly dominated by men. We’re very proud of this. Lyor: And you should be. You brought up collaborations. By providing a global stage I think YouTube has reinvented collaborations. Whether it’s between artists from different countries or genres or between artists and creators – it’s such a fertile space and smart way to get your art in front of new audiences. John: 100%. It’s got to be the right fit. When Lele Pons was featured in the “Havana” video, she was already a Camilla fan. And then we find out Camilla is a Lele fan. I remember when she showed up on set, Camilla’s mom and little sister went crazy because Lele was there. When Camilla won the MTV Video Music award, she thanked Lele on stage. You got to find these special connections. Let me give you another example. “Downtown,” Anitta’s song with J. Balvin was doing great. But when Lele and Juanpa [Zurita] jumped in and made a new music video, that took that song to another level. We call these music video remixes at our office. It started charting. It was a Latin Billboard top 10 hit. It charted on YouTube and Spotify. It’s nominated for a Latin Grammy. The collaboration, between artists and creators, has just brought a lot of attention to the song. It just works. Lyor: Music to my ears. This is so mission critical to protect this creative environment. You know that what’s currently written in Article 13 might just shut down these remixes you are talking about? Remixes and covers, tutorials, fan tributes, parodies – these are such powerful promotional tools for the industry. Don’t get me wrong: I’m all in favor of protecting artists rights and compensating them fairly – I’ve been fighting for this for 38 years – but we should all realize that nurturing these kind of relationships with fans and creators is one of the best things that has happened to music. John: We actually have another case study on this at our office. My brother did this with a Marshmello song, “Summer,” and there were a bunch of user generated videos on YouTube that were using the full song. And we were asked to take them down right away. But as we took them down, we noticed that the original music video started leveling and wasn’t growing as much. So then we removed all the take down requests, let all those user videos come back up, and the original started growing again like magic. Lyor: Everyone is in love with likes and emoji’s. They call it engagement. Why aren’t they thinking of fan videos the same way? A fan making a video for you is the highest form of engagement – it’s a tribute! 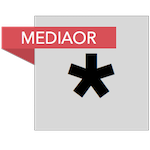 One important thing we are focusing on is building tools to make these collaborations simpler. It’s too complicated right now. John: Yeah this is crazy but I think it’s going to change. I’m gonna test some of this out, and I might even make a song available for everyone, a place where people can download the song and go knock themselves out making fan videos. Like really: Make whatever you want. If the song really resonates with fans, we’ll make more money this way. One last example: someone remade the entire “Celoso” video, and all Lele did was re-share with a community post. When I first found it, it had 300 views. Now it has almost 600,000, just by Lele saying it was great. It got enough views that the YouTube algorithm is now probably suggesting it after someone’s watching the original video and vice versa. People are searching for it, seeing it, and it’s recommending the official video. And that’s the kind of fan engagement we’re hoping to generate with all these other videos that we’re doing. Lyor: This is such an important point you’re bringing up. There’s no better way to grow your channel than uploading videos more frequently. It might work for some artists but I don’t think they should Frankenstein themselves into things they are not passionate about. People come to YouTube to connect with artists, it should be about their art – leave the celebrity-centric content to other platforms. YouTube is about fans. Real fans. Do you wanna be just famous or do you wanna be Bob Dylan? Do you wanna be known for your celebrity or do you wanna be known for your music and artistic point of view? I believe that’s how you build things that last, strong bonds with your fans. John: Couldn’t be more aligned. It goes back to the point we were making at the beginning, that’s how you capture people’s attention, by being authentic and true to your work. That’s what we’re looking for at Shots Studios. You need to find kids that have this energy, this unique artistic expression and ability to naturally connect with people. Then just hit upload on YouTube and let the fan magic happen.